William (Billy) Hinton was born on January 28, 1950 in Chicago, Illinois from Johnnie and Patti Hinton. He graduated from Parker High School, he voluntarily enlisted in the US Navy (1968-1971). He received training in the martial arts when he served in the US military. Since 1967 the martial arts were his life. He became known as an athlete as well as an instructor. He practiced martial arts for over forty years. He earned placement on four US National Karate Teams in 1983, 1984, 1988, and 1989. Except for martial arts Billy Hinton had a passion for music. In 1973, he formed a singing group called Biege. Later he founded a record label "Loretta Records". On Loretta Records some singles were released under the name Cold T, but I don't know if Billy Hinton used this name for himself or it was another artist. In 1981 he released an album entitled "Dawn Of Beige" with his group Beige on his own label. Most of the songs of the album are funky. The album was recorded at Hedden West Recording Studios, Schaumburg, III and at Sky Hero Productions, Chicago. The album was produced by himself. Arranged by Frank Derrick Jr.
Next year he released one more funk album with his group Beige entitled "Lightning Strikes Twice" on Loretta Records. It was recorded at Sky Hero Productions, Chicago and Paragon Recording Studios, Chicago. For one more time the album was arranged by Frank Derrick Jr. except the track "Don't you know heart" which was arranged by guitarist Keith Henderson. In 1983 he released a single entitled "A Challenge / Give her up". This single was released on his own label under the name Beige featuring Maxine Gardner. The song was penned by himself and Keith Henderson. It was produced by himself and Arturio Hinton. Nowadays this record is an ultra rare. A year later, he released an album entitled "Hard and soft" on Loretta Records. It is the first time he released a record with his own name, as Billy Hinton. The musicians were Charles Hosch on bass, Donzell Davis on drums, Keith Henderson and Abdul Hakeem on guitars, Ralph Evans on piano, Benny Brown on organ, Frankie Hill on sax. Backing vocals Shawn Christopher, Nanette Frank, Maxine Gardner, Billy Hinton, Diane Madison and Robin Robinson. For this album to be recorded five studios were used in Chicago. It was produced by himself. Arranged by Frank Derrick Jr. and Keith Henderson. 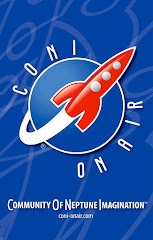 This album became known mostly with the song "A Challenge". However as I told you previously, the song "A Challenge" was released as a single by his own group called Beige. This song was sang by Maxine Gardner and was included on the CD entitled "The Real Sound of Chicago" which was released in 2010. The same year he released a single entitled "Holiday" on Loretta Records. It was recorded at Star Trax Studios, Chicago. However this song was not included on the album "Hard and soft". The label mentions that this song is included on the album called "Wolf". Nonetheless, I have never seen this album. This song was composed by himself. Produced and arranged by Osee Anderson. Billy Hinton just helped on production. Many years have passed until he released an album. 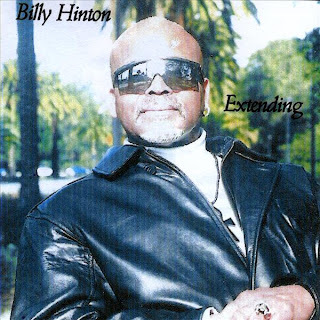 In decade 2000 he released 4 albums CD entitled "Billy Hinton Posting 9, Extending, Waiting for Zorro, and the California Years". I want to note that he has composed over one hundred songs. He also was an author and has written four books. Sadly he passed away on May 2009.